You can use the cloud in many different ways, and there are several things that a solid cloud service provider offers can be easily confused. Although many services offer several combinations of file sharing and online backup, there really is a distinct difference between them. When you’re choosing an online service to back up or share your data, files, and more, it’s critical that you choose the right system for what you need. 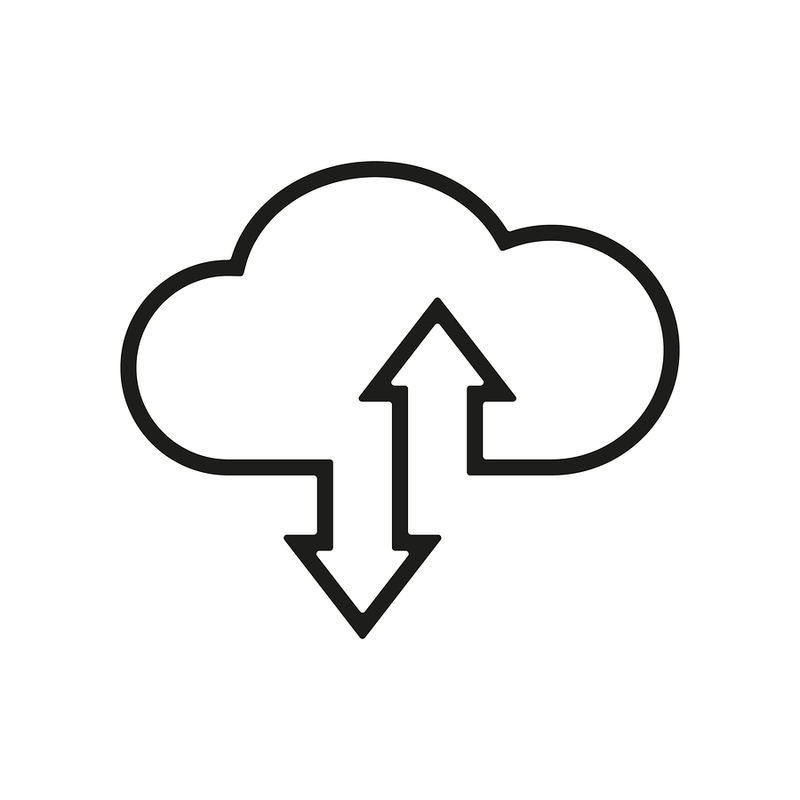 This post will help describe some of the differences between online data backup and online file sharing (also known as cloud storage)– and how they can help your business. Simply put, file sharing a method or mechanism to help you share documents, pictures, video, and more. Also known as cloud storage, it eliminates the hassle and bottlenecks of an on-site or internal network and gives you access to your storage device from any computer. This is especially handy when you’re on the road, or when you need to access a document that just a few years ago would be locked away in the file room in your office. File sharing saves you time and your company money- and is a great way to optimize your document management plan and one of the easiest ways to centralize your file storage. When you’re looking for a file sharing service for your business, there are a lot of things you want to consider. The first thing that’s always a concern, and one of the most critical pieces of any file sharing system, is security. To choose the right security level for your files, you have to consider how critical or sensitive the data is. If you’re just sharing photos that are going to be used on social media, that’s one thing. If you’re sharing data that has Personally Identifiable Information or critical proprietary business information, a simple, low-cost file sharing system may not cut it. Virtually every file sharing system you choose will have some sort of security- but there are systems that utilize higher levels of encryption and take extra measures to ensure that your file is secure from the second you log on to the second the file is deleted (and sometimes even after that). We have a few options listed here, but be sure to do your homework and find the right system for your company’s needs. Backing up your critical data is one of the other aspects that cloud storage systems can really help any business. Tape rotation is becoming a thing of the past- now, your data is backed up regularly with an online solution that transfers your data through an Internet connection. This saves time and money by eliminating the need of having to have someone transfer physical tapes or disks to an offsite location. For security, any data that is sent through the online service is encrypted before, during, and after it is sent. (also known as end-to-end encryption), which can provide up to 256-bit AES encryption. This makes it mathematically impossible to be stolen. Online backup systems are also very easy to use, especially if you partner with a cloud storage expert that has an interface that works best with your systems. With the click of a button, you can back up your data quickly and securely- and restore your data faster as well. This is where it might get somewhat confusing- most of these providers also offer online storage for all your files. Nevertheless, the great thing about having your file sharing and your backup system with one service is that It eliminates the need to have an physical files and expensive on-site server just to house your day-to-day operations and your critical business files. You’ll have the ability to access your files from anywhere; all paper documents will never be misplaced or accidentally thrown away; and all your files will be back up and secured off-site in case of a theft, security breach, or natural disaster. Looking For Cloud Backup and Storage Solutions? Record Nations Can Help! Record Nations can help you find the right file sharing and/or online data backup service for your needs. Come see why we are the first choice for data backup solutions. We work with a team of professionals that provide reliable online data backup solutions for your business. In addition to online backup services, we can help you convert your paper records to digital copies by scanning the documents for you, and our cloud storage services will keep your records safe and easy to access. Learn how our data backup solutions can help you. Contact us for a free quote today! Fill out the form to the right or give our experts a call at (866) 385-3706. Our team will help you find the right paperless solution for your business.